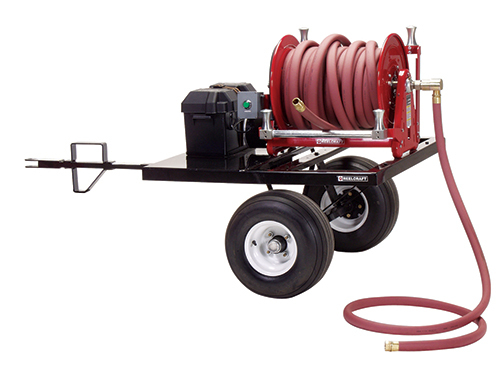 Reelcraft rolled out its turf care trailer, which is designed for grounds maintenance applications requiring hoses with up to 1-in. inner diameters and are up to 100 ft. long. The company’s updated Series 37000 hose reels are designed to fit on the turf care trailer. According to Reelcraft, the new reel design helps to eliminate bearing misalignment. The new trailer also features wheels mounted inside the bed, which prevents snagging of trees and shrubs, and a 32-in. trailer tongue that allows for sharp turns and easy backup.